Num Noms Brunch Bunch Toys Smell So Good! We have added the Num Noms Series 2 Brunch Bunch Pack to our Num Noms toys collection. I tell ya these Brunch Bunch Nums sure smell yummy! They definitely have a sweet yummy smell to them. There are 10 Brunch Nums to collect in Series 2 as well as a Special Edition Brunch Bunch Nums to collect. It’s Berry Waffles, we didn’t get that one in our 4 pack set so be sure to keep your eye out for that one! In A Hurry? >>> You Can Buy Your Own Num Noms Brunch Bunch Pack Here! What’s In The Num Noms Series 2 Brunch Bunch Pack? 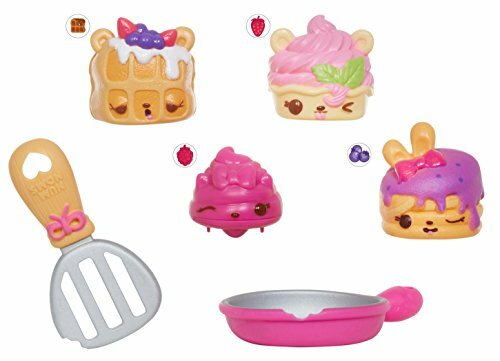 In our Num Noms Series 2 Brunch Bunch 4 Pack we got 3 scented squishy adorable Nums, 1 motorized GoGo Nom, ( you can see the Nom under the big Num waffle), a cute little frying pan as well as a little flipper for flipping our Nums! 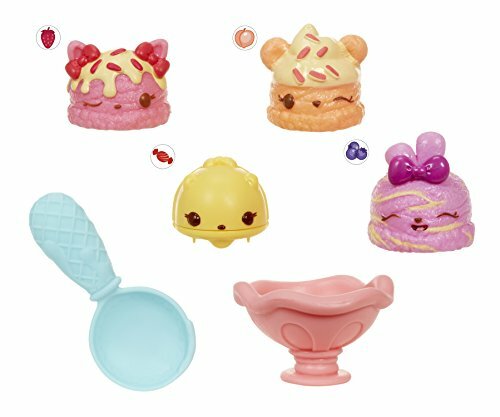 Where Can You Buy Num Noms Series 2 Brunch Bunch Pack? 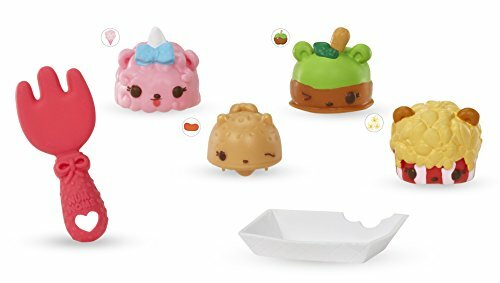 You can buy the Num Noms Series 2 Brunch 4 Pack here online from Amazon! I found that Amazon has a lot of the Num Noms packs available as compared to other stores. They are also reasonably priced. Meet Willy Waffles a Brunch Num. This little Num is a waffle and smells really good. Willy Waffles smells sweet with a hint of blueberries and strawberries. Poor Willy, he’s looking a bit tired. Must be all those yummy blueberries and strawberries. This cute little Brunch Num is Berry Cakes. Berry is a stack of pancakes that is covered in syrup or a sauce. It looks like it could be a blueberry sauce. Berry Cakes Nums smells really good as well and has a very sweet berry smell. Meet little Strawberry Froyo Num. Froyo means frozen yogurt, I had to google what froyo was. I had never heard of frozen yogurt being called that before. Cool! So now I know that this little Num is actually frozen yogurt. Don’t you just love how the strawberry yogurt is swirled on top of her head and she smells strawberry sweet. Waffles and pancakes with some strawberry froyo, yum! More Num Noms Series 2 Toys To Buy! 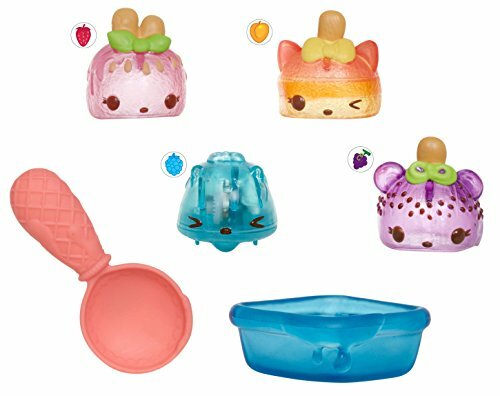 Here are more fun Num Noms Series 2 – 4 Packs to collect. We have the Num Noms Freezie Pops pack and love the cool translucent colors they come in. See All The Series 1 & 2 Num Noms Toys On Amazon!